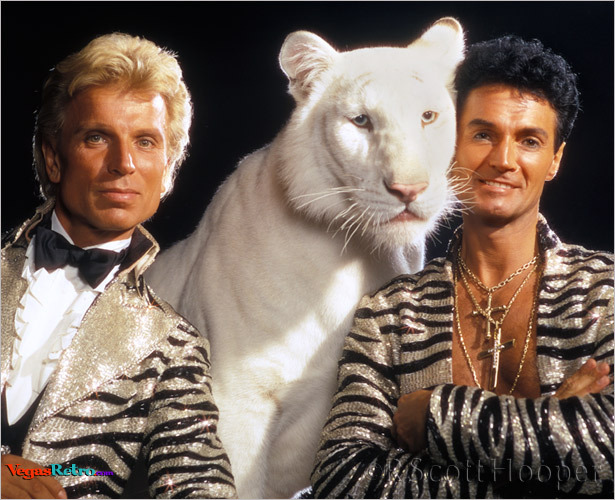 Siegfried & Roy with a white tiger they had raised from a cub. Photographed backstage at the Frontier Hotel after their popular show "Beyond Belief". The show was produced by Irwin & Kenneth Feld of Barnum & Baily fame and it was the first ongoing magic show in Las Vegas.